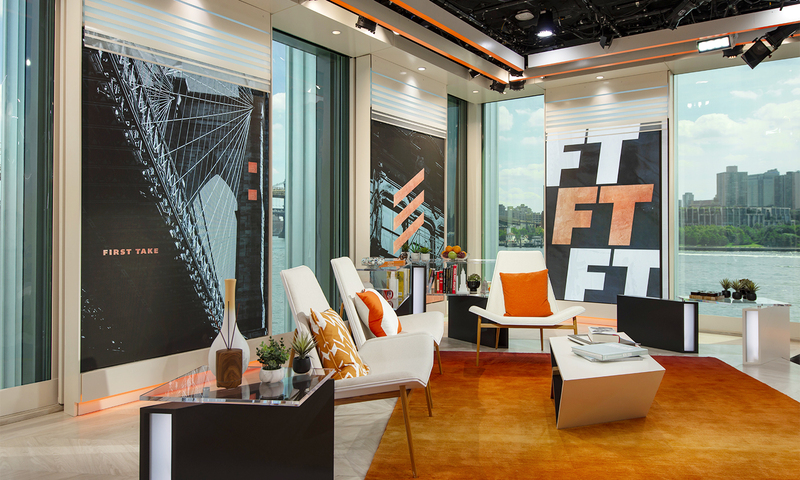 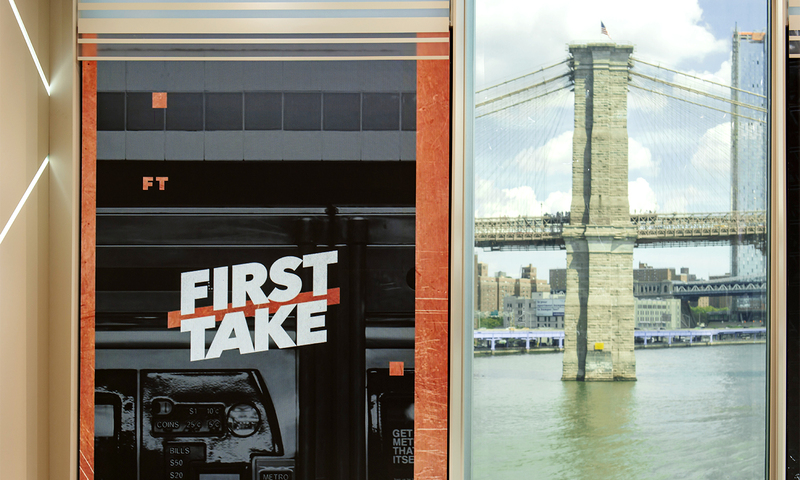 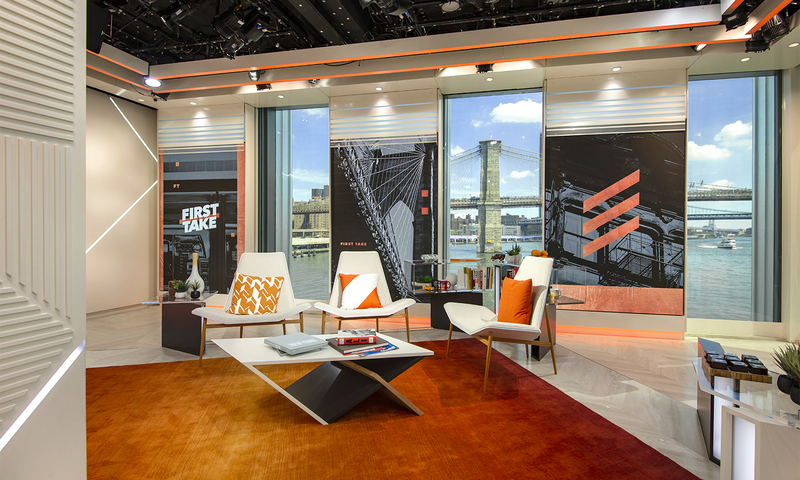 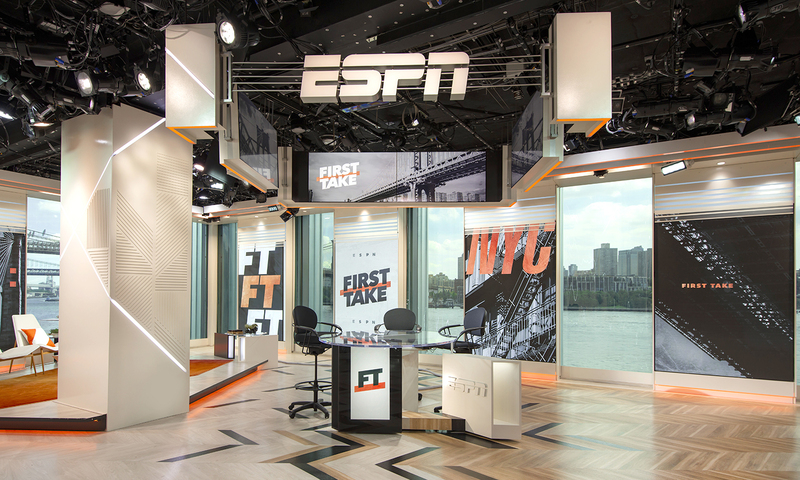 ESPN’s “First Take” has moved to the network’s downtown Manhattan production facility in the South Street Seaport development at Pier 17. 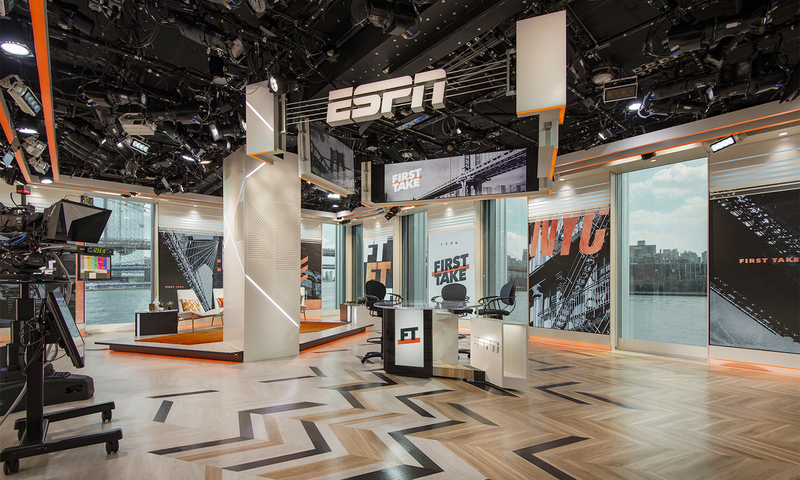 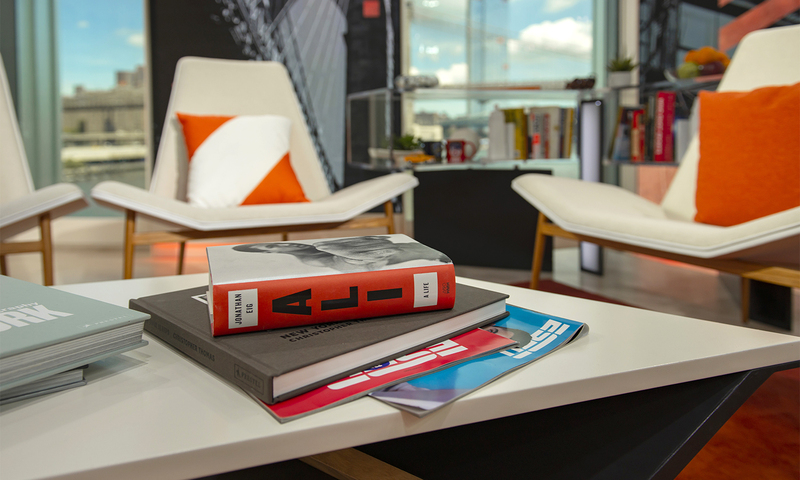 The 2,300-square-foot studio occupies the corner of the building and takes advantage of the building’s vertical windows, which are interspaced with LED video panels of approximately the same size. 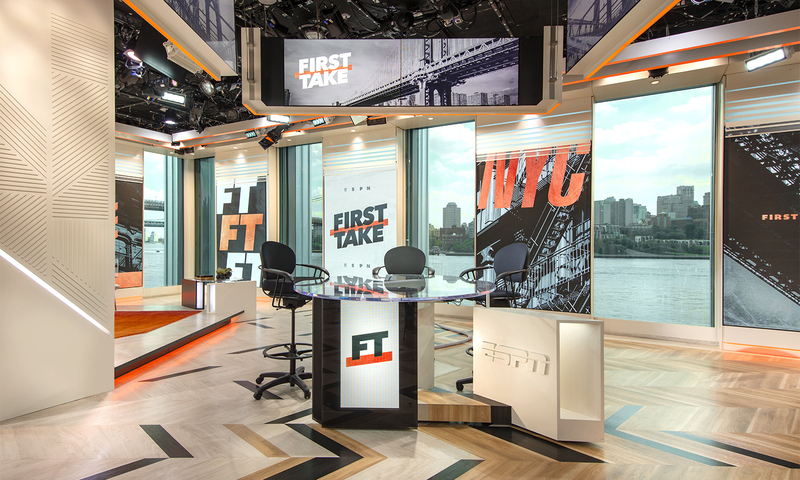 Since the floor wasn’t originally meant as an open studio space, a thick structural column dictated much of the placement of studio zones, which include both a hard news area and an interview set up. 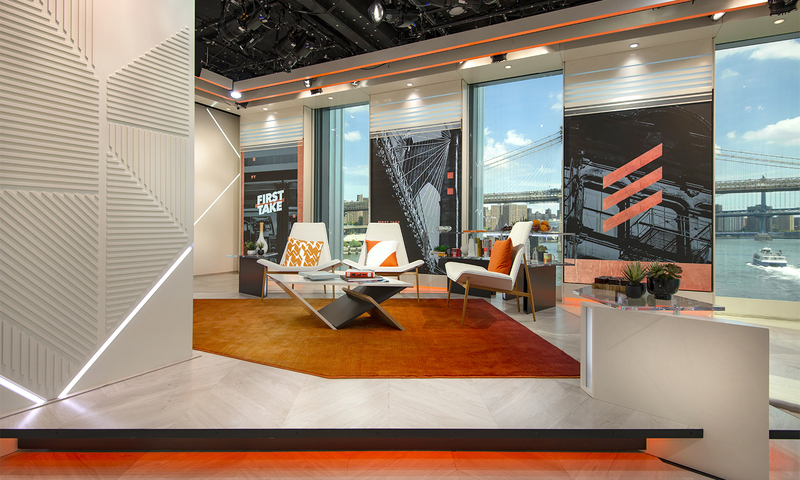 The bold angles of the “corner office” space are offset by an angular home base adjacent to the column, which features a debate-style desk built by Mystic Scenic Studios from a series of blocky dark gray and white plinths. 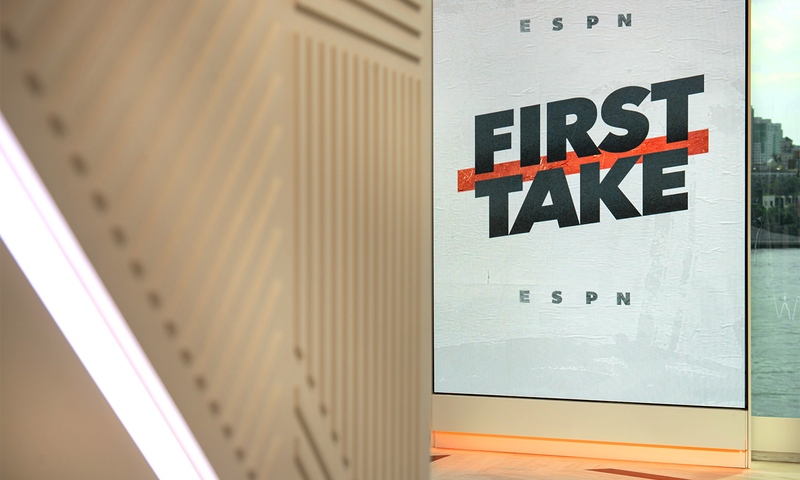 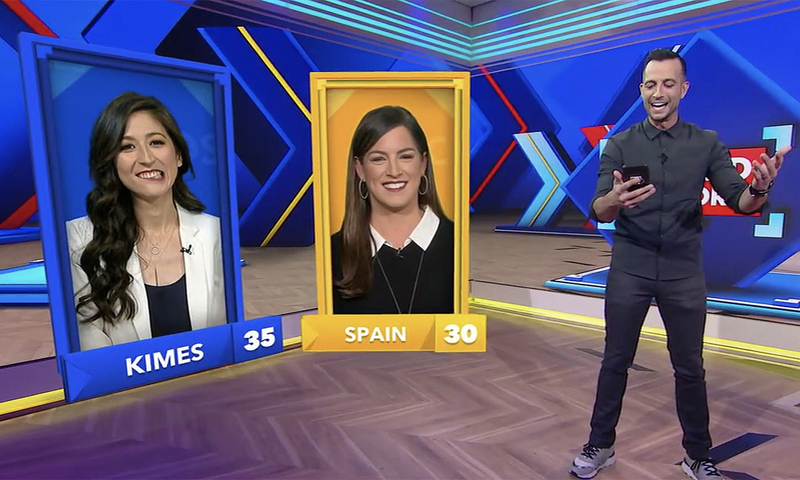 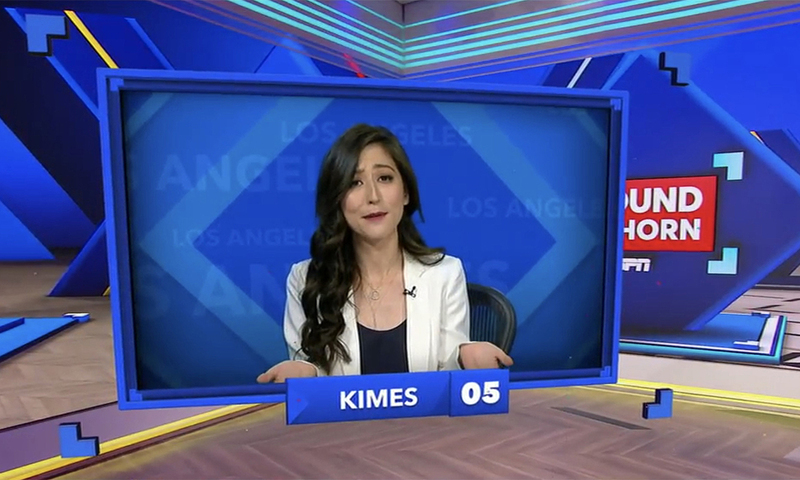 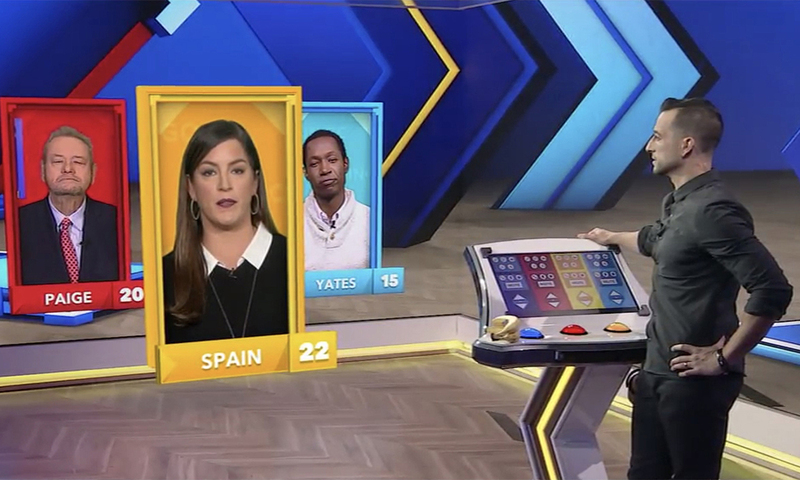 All of these varied and sharp angles were inspired by the lively debate of “First Take,” which is hosted by Stephen A. Smith, Max Kellerman and Molly Qerim.